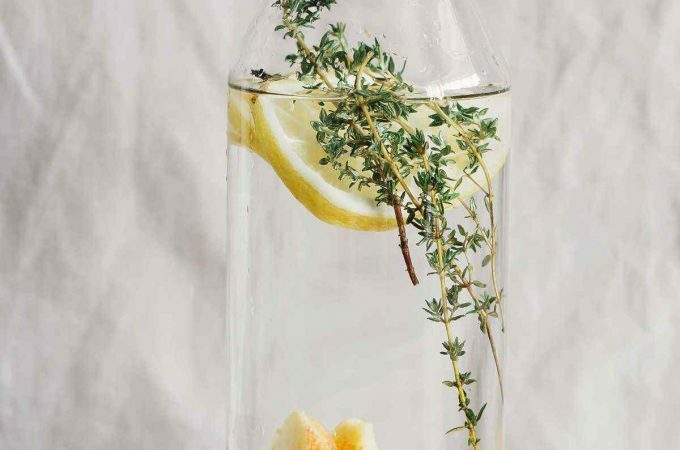 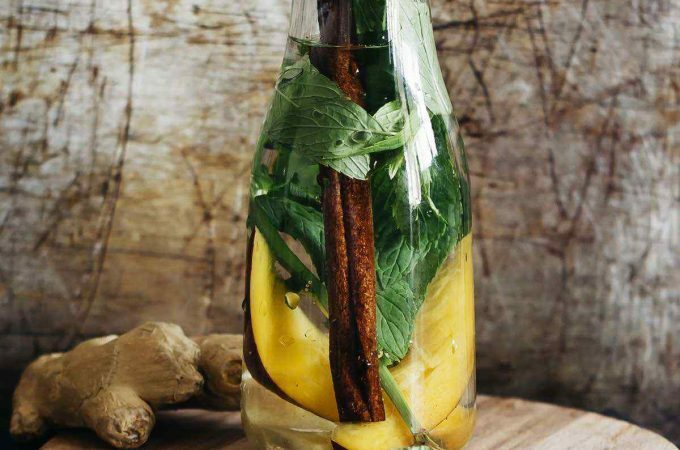 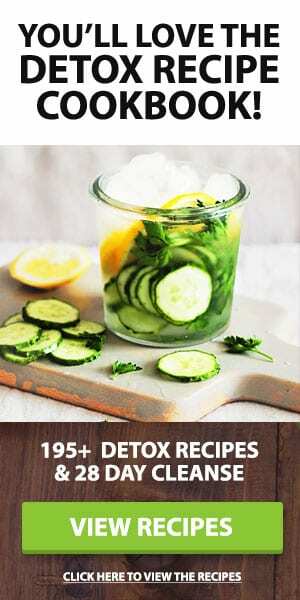 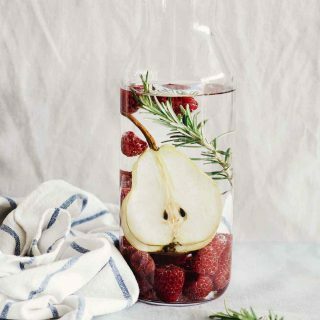 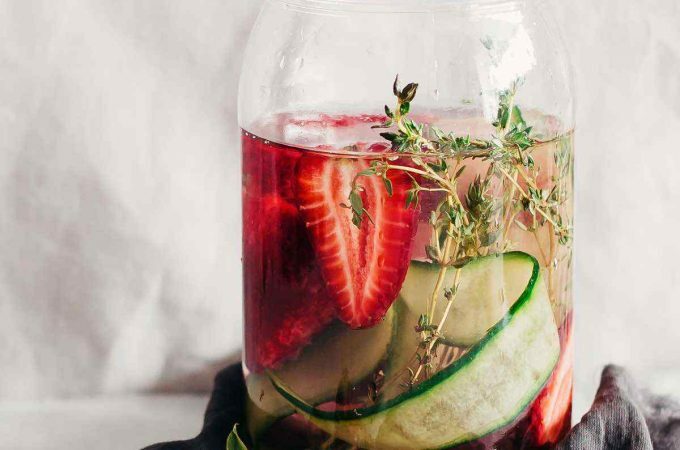 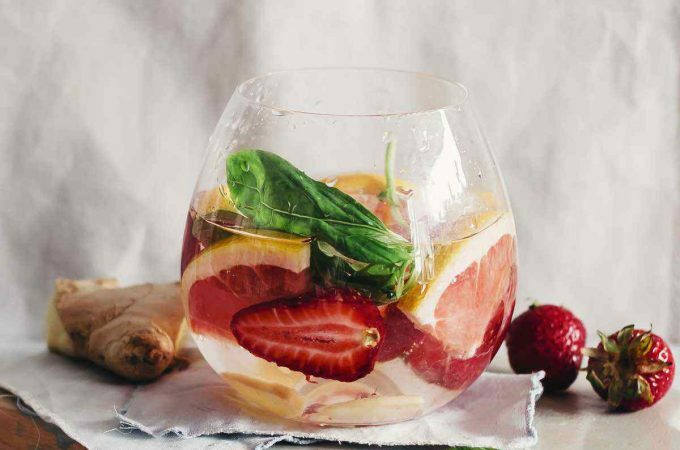 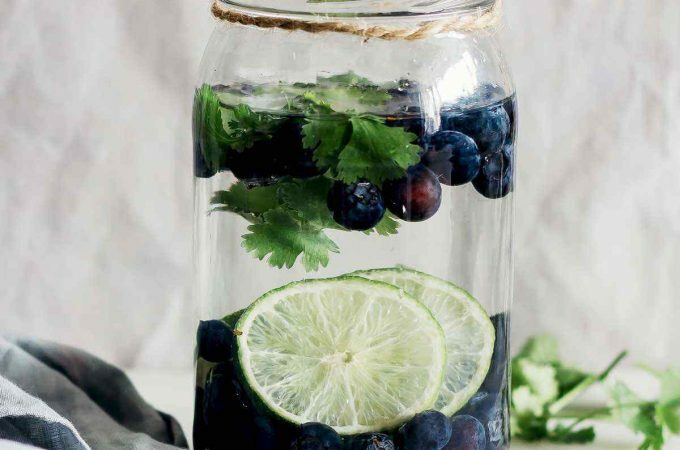 This fruit infused water combines the detoxifying power of pear with the antioxidant properties of raspberries, and the healing benefits of rosemary. 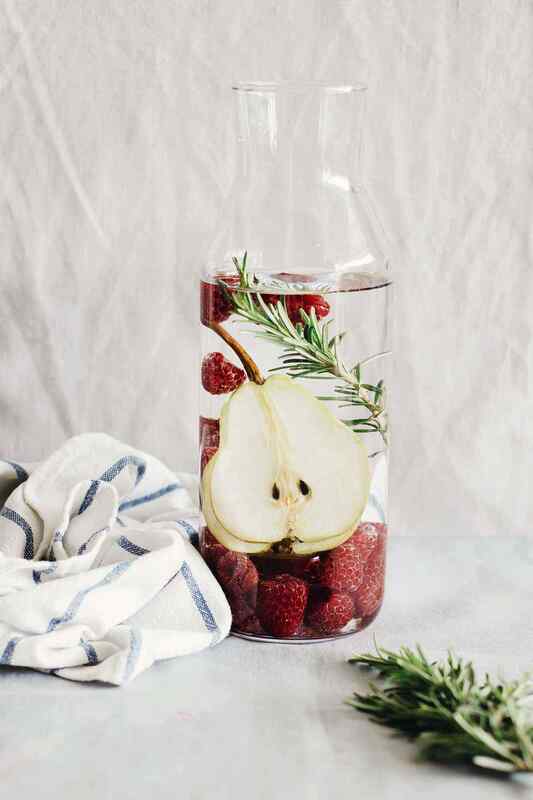 Pear skin is a storehouse of detox nutrients, with plenty of fiber, vitamin C and vitamin K. Raspberries initiate fat metabolism, act as a tonic for the liver and support its detox activity. 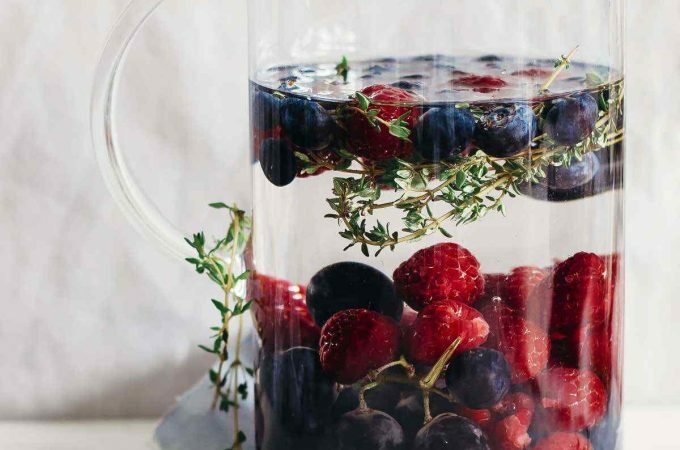 Their antioxidants lower oxidative stress, regulate blood sugar levels, and have exceptional anti-cancer properties. 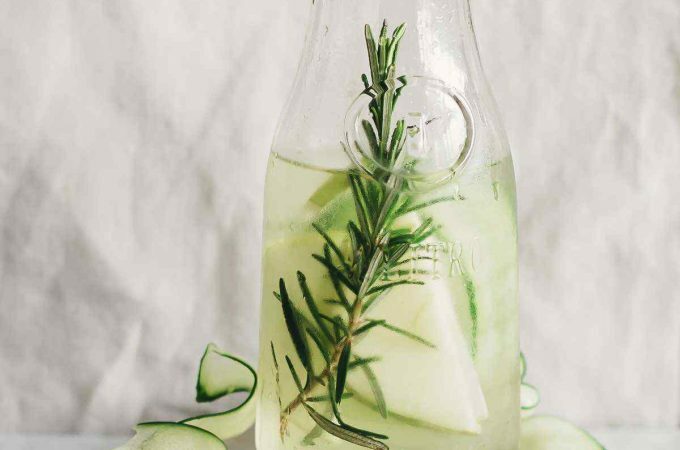 The pungent flavor and pine-like fragrance of rosemary’s essential oil is a great complement to the fresh fruit, while boosting the immune system and improving digestion.